PA Live! Blog of the Week: It's a Keeper! Our PA Live! Blog of the Week this week is It's a Keeper! (http://www.everydaytastes.com/) by Christina Hitchcock. Christina Hitchcock describes herself as "chief cook and bottle washer in the It’s a Keeper test kitchen (a.k.a. my kitchen)." In her kitchen and on her blog she cooks and bakes her way through her collection of recipes, trying to determine which ones are worth declaring "It's a Keeper!" The recipes she cooks tend to be simple and straightforward, perfect for the working mom or dad who is also trying to keep their family well-fed. Actually, these recipes are perfect for anyone who is hard-pressed for time and could use a little guidance in the kitchen. Christina lives and cooks in Northeastern Pennsylvania and has been blogging since January 2010. She started out with three hundred and thirty seven recipes to work through, and since then has put a significant dent in the total - but has also added quite a few new recipes to the pile. Check out her blog as she tests each one. Trying out a new recipe can be a time-consuming and expensive experience. Let Christina go through the trouble of determining if a new recipe is worth the effort - and is worthy of the declaration "It's a Keeper!" I was very happy to discover the blog through your twitter page. As someone from Wilkes-Barre It is a great resource for bloggers in NEPA. 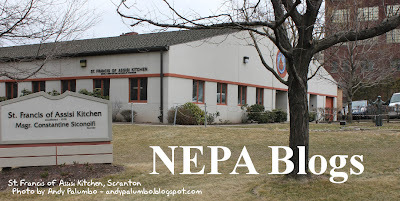 I would like to be included and listed on Nepa Blogs with my Blog "A Petroleum Service." 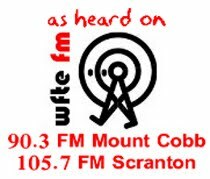 Here is what the blog is all about and our content is generated right at Petroleum Service Company in Wilkes Barre. Residents of NEPA may be familiar with the "PSC" trucks making their way around the area, but how many people realize that Petroleum Service Company is based in NEPA, and has been around since 1924? Like it or not, we live in a world of petrochemicals. Take a look at the information offered on the PSC blog and see what you can learn! My Aunt Sandy - my father's youngest sister - was from my perspective the ultimate Williams/Stewart family historian. I truly believe she threw almost nothing away. 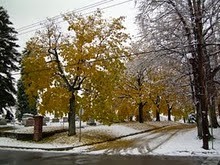 In the months ahead, for those that stop by my newest blog, you'll come to understand what I mean by "almost nothing". In boxes and folders and albums taking up a sizable corner in our basement, I have become the willing recipient of roughly ~130 years of "stuff" that chronicles the lives of my ancestors and contemporaries who were born and raised in (primarily) northeastern PA before heading off to continue their lives elsewhere. In order to share these mementos with members of our expanded families from coast to coast, I've created another blog - The Williams Chronicles- which will afford 24/7 access to all of the pics and documents that I've recently begun scanning. It's a fascinating project, one that could be replicated by countless people everywhere. How many of us have access to old family photos, letters, and newspaper clippings? How long until those photos fade, and those letters and clippings crumble into dust? By creating this blog, Don is preserving and sharing historical artifacts of his family, allowing family members (and others) to see things they might never have seen otherwise. What's to stop the rest of us from doing the same? Nikki's blog is called "Nikki's News" and it resides at http://nikkikrize.wordpress.com. Nikki is one of WNEP's Central Pennsylvania bureau reporters and is stationed in the Lycoming Mall near Lewisburg with Jim Hamill and photog Tom Durant. Nikki's blog is about "a little bit of this…a little bit of that". She talks about her work outs and her obsession with TV among other things. Now go go go and show Nikki some love by checking out her blog and connecting with her on Social Media! 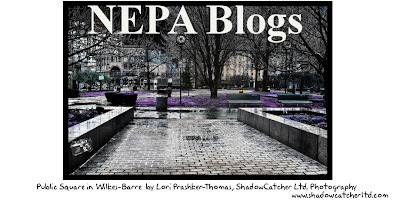 The NEPA Blogs header for the week of April 24 - 30 is an image of Public Square in Wilkes-Barre taken by Lori Prashker-Thomas of ShadowCatcher Ltd. Photography (www.shadowcatcherltd.com.) Be sure to visit her site and check out everything she has to offer! Spring has sprung, the season when NEPA transitions from gloomy to bloomy. Do you have any images that capture Springtime in NEPA? Send them to us at nepablogs@gmail.com and we'll use them as header images in upcoming weeks! There was a mix-up with our Blog of the Week segment on PA Live! today and last week's blog (From a Corner of a Foreign Field... by Eleanor Gwyn-Jones) was show again. We will feature It's a Keeper! (http://www.everydaytastes.com/) by Christina Hitchcock next week. Until then I reverted the post to a draft. Another day, another mailbag entry. It seems that between our PA Live! BOTW segments, BlogFest and my recent appearance on ComputerWise TV, we have been getting a lot more attention than normal. We are reaching people that may have not otherwise known our Blog was out there. Some are sad and some are full of hope, but all are touching and relay the mission of Indraloka Animal Sanctuary. We would love for more people in Northeastern Pennsylvania to be aware of the sanctuary and its purpose. Hello! I am venturing out into the wide world of Blogging and looking to network with locals. I was wondering if you could help me out by listing me, or helping me introduce myself? I intend to use it to list and experiment with eastern European cuisine as it were, also known as 'local favorites' :) I may even use it to drum up support to open my own foodservice business of some sort. Its not entirely all tidied up yet, but I should have just about everything where I want it within the week. Thanks! I can't wait to see what kind of recipes Deb will have to share with us. Keep checking back for more updates! "Of all of the things that have been written about Lean In, this post is one of my favorites. Thank you, Jennifer, for understanding that the point of Lean In is for each of us to make deliberate choices about what is right for us, and then go after our goals ambitiously and unapologetically. Your example is a great example for women of going through that process and making the best choice for them. Thank you for leaning in to your goals - and sharing your thoughts with all of us." I love, love, love being a mother and all that it entails. I love it so much that it oozes out the tips of my fingers and the ends of my hair. Aside from marrying my wonderful husband, I have experienced no greater joy in life than becoming a mommy to my baby girl in 2009 and my baby boy in 2012. But I am coming to realize that there is danger in defining ourselves primarily through and by our children. Do I really want motherhood to encapsulate all that I am? Does that mean that I have lost part of myself? What about that person I used to be before I was a mother? I truly have found myself in motherhood, but I am also losing myself in it, and this blog is my attempt to find myself again. It's a blog from the Scranton Times-Tribune, by staff writer Josh McAuliffe, whose name was mentioned in last week's episode. The blog has been around since September 2007, yet somehow we've managed to miss it. 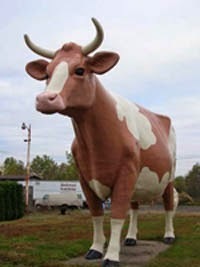 Just goes to show that there are still lots of blogs hiding in plain sight throughout Northeastern Pennsylvania! "The Office" is ending soon, but it will live on in re-runs, DVDs, digital downloads, and through whatever forms media will evolve into in coming years. Here's hoping that The Office Blog will live on along with it as a helpful reference tool for fans who have yet to discover the show! 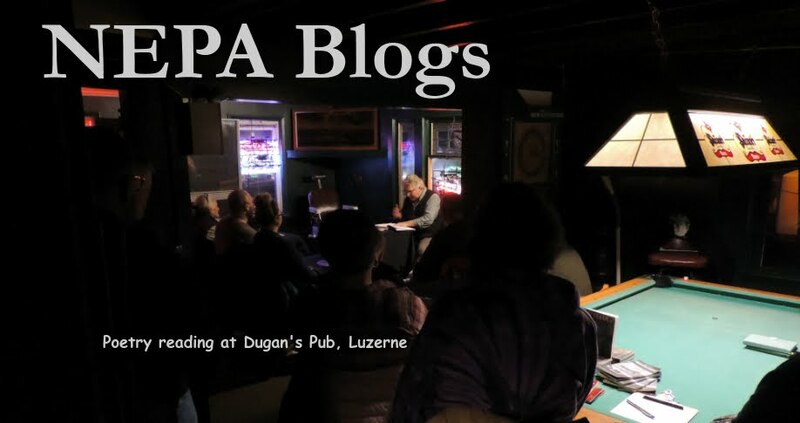 The NEPA Blogs header photo for the week of April 17-23 comes to us from Mike Burnside (http://burnsidephotographic.com/wordpress/) and is from an adventure he went on recently, a journey to find "towns in the middle of nowhere" in northern and eastern Pennsylvania. Read about his journey, and see more photos from it, here. 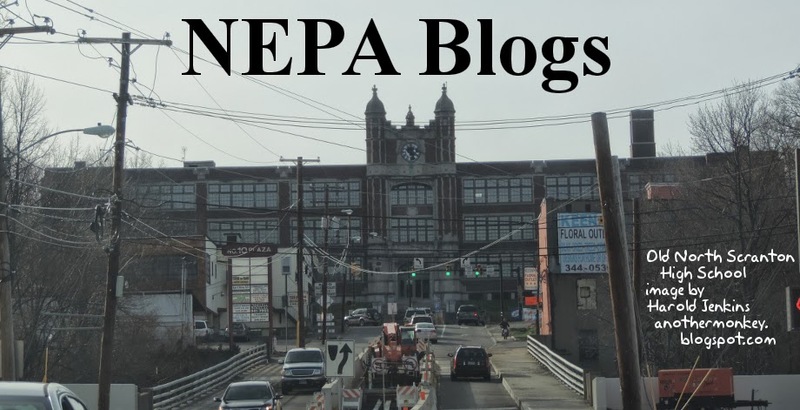 Do you have a photo you'd like us to feature as the NEPA Blogs header for a week? Send it to nepablogs@gmail.com. Our PA Live! Blog of the Week this week is From a Corner of a Foreign Field... by Eleanor Gwyn-Jones. 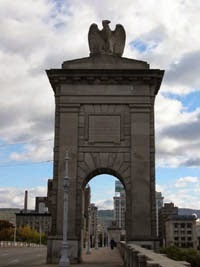 We first became aware of Eleanor Gwyn-Jones's blog through the Twitter account of the Scranton StorySlam. Eleanor is originally from England, traveled from England to Scranton for reasons that are explained on her blog, left Scranton for New York City, settled down in Brooklyn, became homesick, and went back home - to Scranton. Eleanor describes herself as a writer and a romantic. Her blog is all about her adventures: being a resident in a foreign country (and, you know, Scranton,) her life, her forays into the wonderful world of relationships, and anything else she feels like writing, always in a manner that will have you laughing. It turns out that more than a few people had been contacting her, asking her to come back to blogging. One had nominated her for Best Blog in the contest in the Weekender. But my comment was the final push that put her over the edge, or pulled her back from the edge, or whatever. And now Eleanor Gwyn-Jones is back, and once again blogging From a Corner of a Foreign Field! Check her out, and encourage her to stay! Where did the static link lists go? You might have noticed that our sidebar just got a little shorter. That's because we've relocated our redundant Static Link Lists to a "page", accessible through the "Pages" section near the top of the right-hand sidebar. Nothing is lost, however! For a full explanation visit the page The Static Link Lists. The Spring edition of BlogFest 2013 is coming! It's THIS FRIDAY, April 19, starting at 6:00 PM at Rooney's Irish Pub, 67 South Main Street in Pittston! Come meet, mingle, and share a few adult beverages with bloggers from throughout Northeastern Pennsylvania. Numerous candidates for local office will also be in attendance, and perhaps a few representatives of local media as well. This is a great chance to meet face-to-face with people you may only know from their blogs, as well as to get some publicity for your own blog! Bring along a stack of Blog Cards and pass them out to everyone you meet! Last September a friend let me know that there was a walking tour of the Battle of Wyoming coming up soon, and wanted to know if I was interested. I was, and we went. While I knew the story of the event - also known as "The Wyoming Massacre" both for the one-sidedness of the battle and the gruesome fate of the captives taken by Butler's Rangers and their Iroquois allies - it was fascinating to see the spots where these events had unfolded, places I have driven past hundreds of times with only a vague curiosity as to their history. Along the way we stopped to get our bearings at an electrical tower in Exeter, and I noticed the composition of the scene to our right. The wires that stretched over our heads extended to another tower a few hundred yards away, on the shore of the Susquehanna river. Beyond that tower were some trees, and behind the trees were culm banks, and what appears to be a coal breaker. In the far distance - more than six miles away - was a line of wind turbines. I found the juxtaposition of renewable energy with fossil fuels to be striking, and appreciated the way the electrical lines knitted everything together. 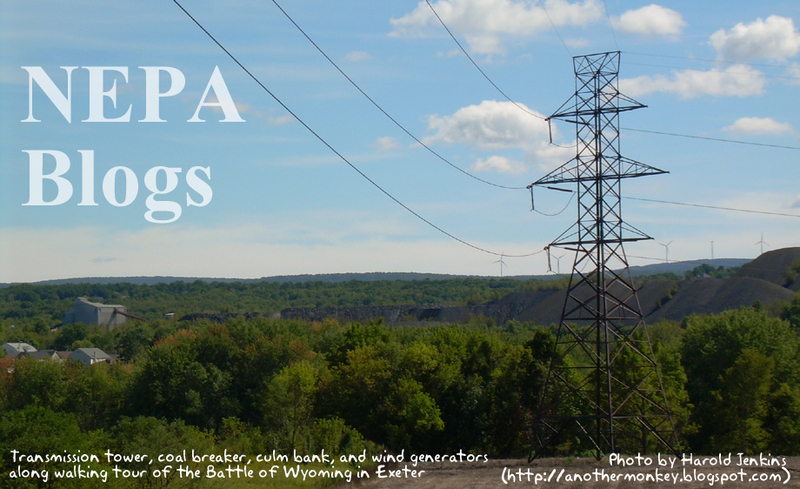 As a friend pointed out recently, before the days "When Coal was King," Pennsylvania was ruthlessly stripped of another energy resource - its trees. The forests of "Penn's Woods" were only restored through many decades of dedicated effort by people like Gifford Pinchot. And of course, another energy resource - natural gas - may be buried deep underground in this region, and some folks will stop at nothing to extract and exploit it, regardless of the impact on the environment or the long-term value of the land. If you have an image you'd like us to feature as the NEPA Blogs header, send it to us at nepablogs@gmail.com. Our PA Live! Blog of the Week this week is Stephanie Force's An Organized Mess (My Life). Life is messy. It's rarely laid out in a straight line, and things almost never happen exactly as we expect. Stephanie Force acknowledges this, and on her blog An Organized Mess (My Life) she deals with it in her own way - which, more often than not, is through the medium of poetry. Stephanie is a poet and writer, and while her blog frequently features informational posts that let readers know what is going in in her life, it is also filled with poems and short stories that are often prompted by those events. Stephanie has been blogging since high school and continues to blog during her college years. Her life has had many of the traumatic incidents common to many people during those years, as well as a few, like the deaths of several high school classmates in unrelated incidents over the course of just a few months, that many people have not had the opportunity to experience. So while in some cases it's easy to relate to the messes that Stephanie faces on a daily basis, in others she's writing about things that are completely alien to most of us. How she deals with and is stimulated to respond creatively to the traumas of everyday life are what make Stephanie Force's An Organized Mess (My Life) a fascinating read. Here's a blogger I just met through my writing group. She came to this week's meeting to see what we were all about, and mentioned that she was a blogger as well as a writer. Hey there. Welcome to my world, funky as it is most days and moments. Just came to the wonderful world of wordpress, and I thoroughly love my new home already. I am a blogger for over a year now, although I am a lifelong writer. I tend to write more freely and creatively on a keyboard of some sort; in college it was a typewriter; now I have evolved to a laptop. I am a free spirit, learning about the world fully a moment at a time. I am a partner, a mom, a pet owner, a home owner, a cyber junkie, an activist, a spiritual being, a mentor, a learner, and so many other things that I can hardly think of right now. Life is for living, and I believe in getting down to the business of doing just that. I hope that you enjoy what I have to say in my little space of the world here. Peace out, people. Be sure to check out Vanessa Leigh's blog! My name's Jared and I'm in the process of writing a post-apocalyptic graphic novel about Lock Haven and surrounding areas. Over at The Oracular Beard, I make due by writing book reviews and the like. Jared has been blogging at The Oracular Beard since July 25, 2011. Check him out! On Easter, media outlets were running their annual obligatory stories about people observing the religious holiday in places like the Philippines with re-enactments of the crucifixion that involve actually crucifying volunteers. A friend posted one of these stories to Facebook, and someone posted a comment along the lines of "Too bad they don't bother to do something like, say, feed the poor." The St. Francis of Assisi Kitchen in Scranton is one place that does just that, and has been doing it for nearly thirty-five years. Journalist and blogger Andy Palumbo took this picture as part of his annual Easter post. This post, as well as Andy's thoughts about Scranton, social services, and another fellow by the name of Francis, can be found here. 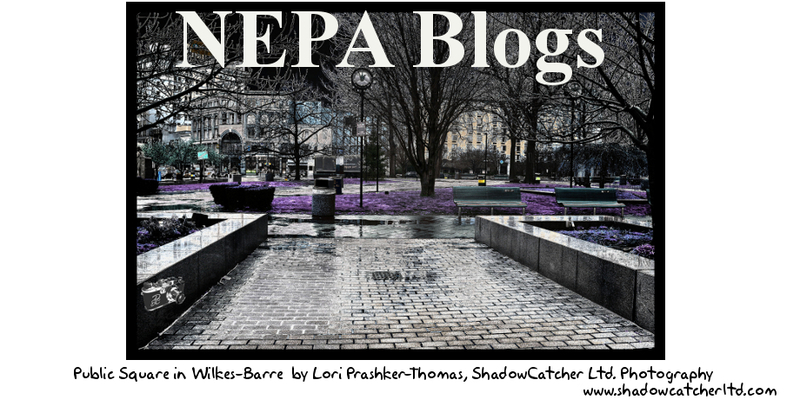 Submit your photos for the NEPA Blogs header to nepablogs@gmail.com. Our PA Live! Blog of the Week this week is The Write Life, the blog of Wilkes University’s Creative Writing MA/MFA Program. Northeastern Pennsylvania is the home of many excellent poets and writers, and many of them have one thing in common: they have gone through Wilkes University’s Creative Writing MA/MFA Program. Created in 2005, it already has a great many success stories. The program's blog The Write Life is a more recent development, first published in October 2010. Its pages are full of news about the program and its alumni, as well as essays, reviews, contest announcements, and other useful information. Both established and aspiring writers will find The Write Life to be a valuable resource for developing their writing skills, as well as for learning about all of the excellent writers in Northeastern Pennsylvania who are alumni of the program!